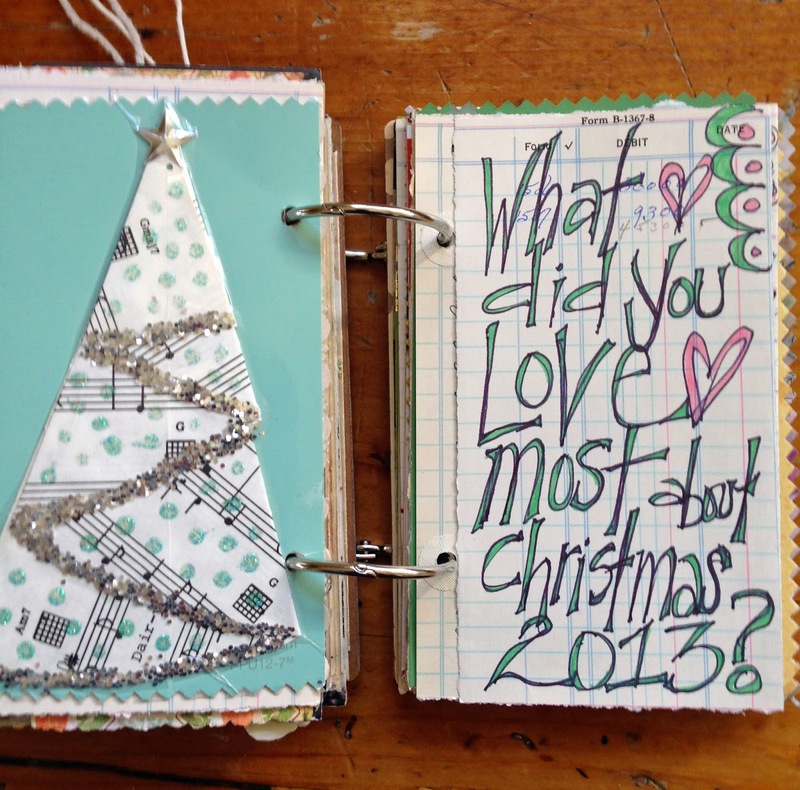 What did you love most about Christmas 2013? 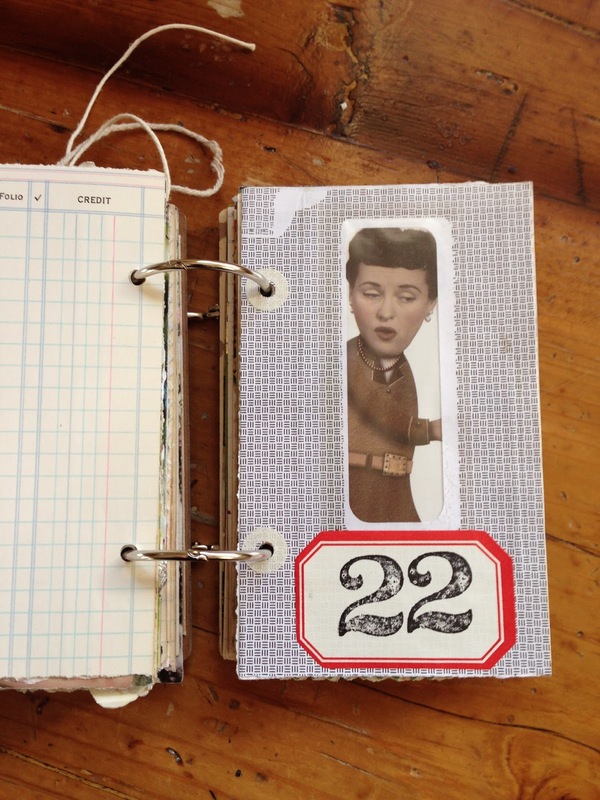 For me, my most favorite creative project was discovering Hope Wallace and her blog Besottment by Paper Relics. 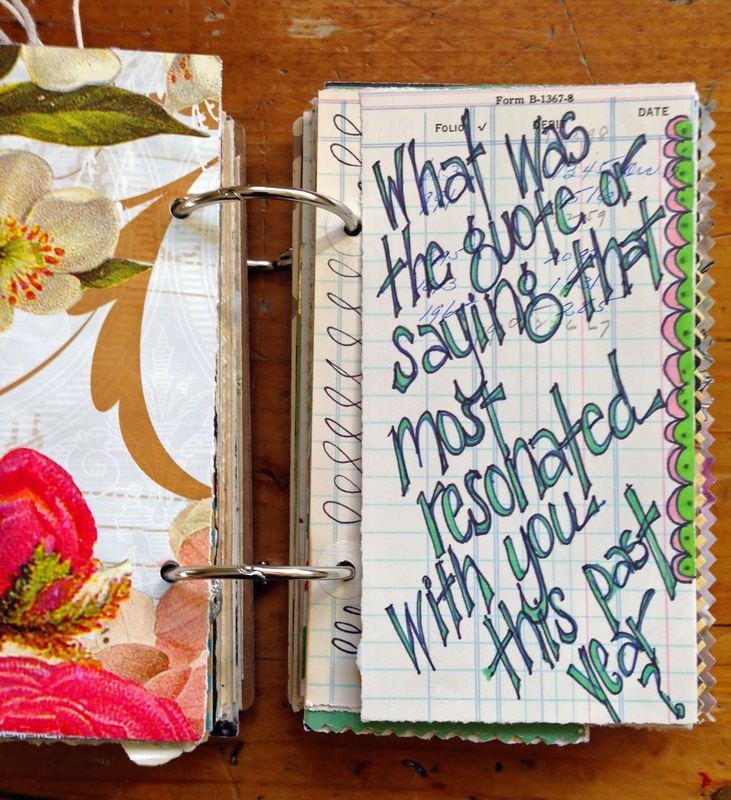 For the past couple of years Hope has been creating what she calls "DECEMBER DAILY REVERB"
A journal which documents memorable events from the past year. 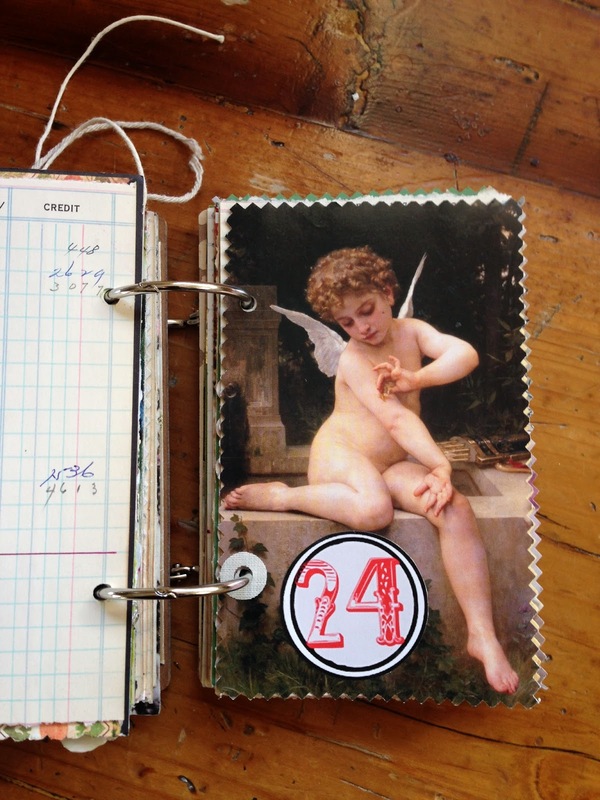 There are 31 days of prompts to write about for the month of December. 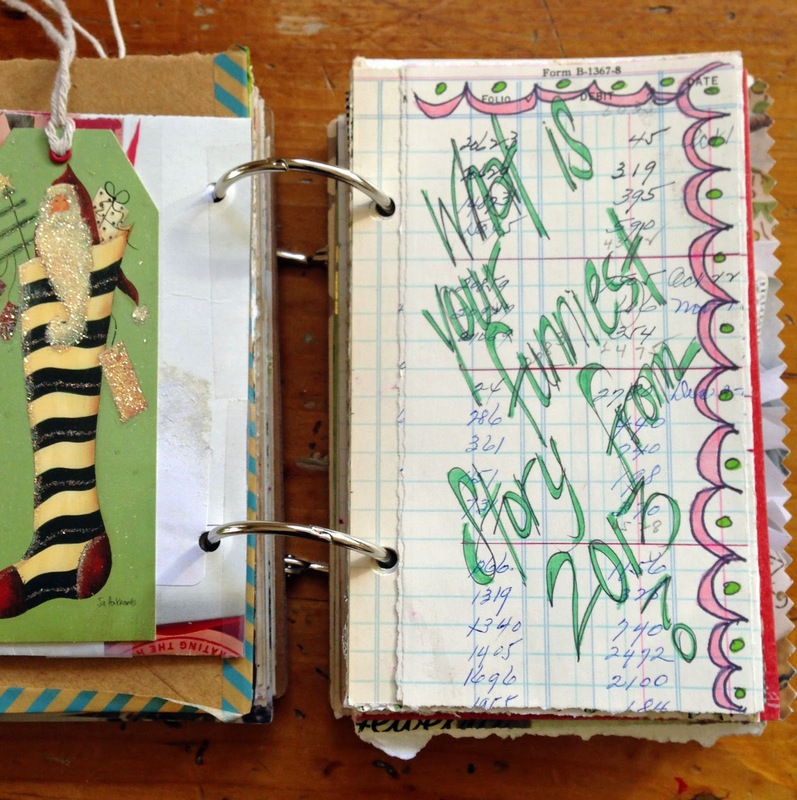 Hope gives you links where you are able to look back on previous years that she made, which prompts she used and also beautiful pictures of the journal pages she created. 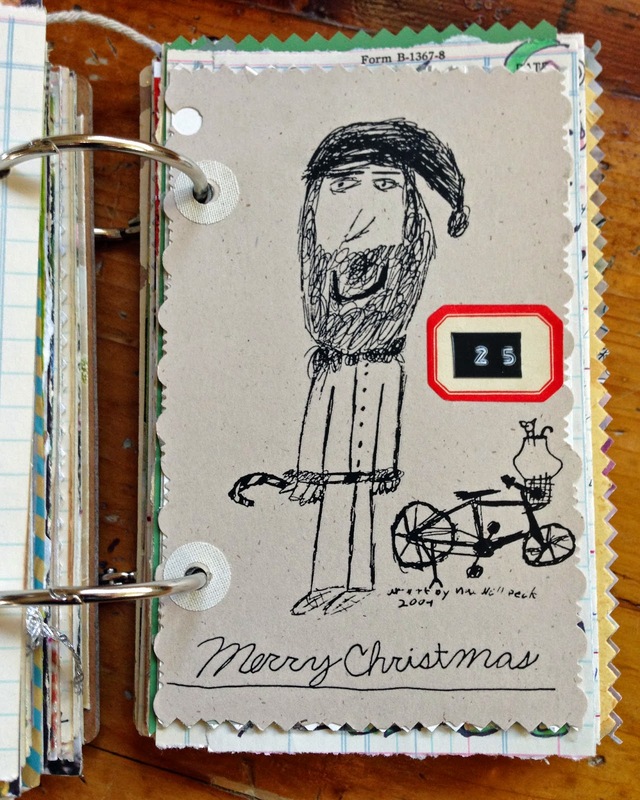 One of the things I loved about creating this type of journal is you are able to save and re-use the beautiful Christmas cards, invitations, wrapping paper, labels, etc. 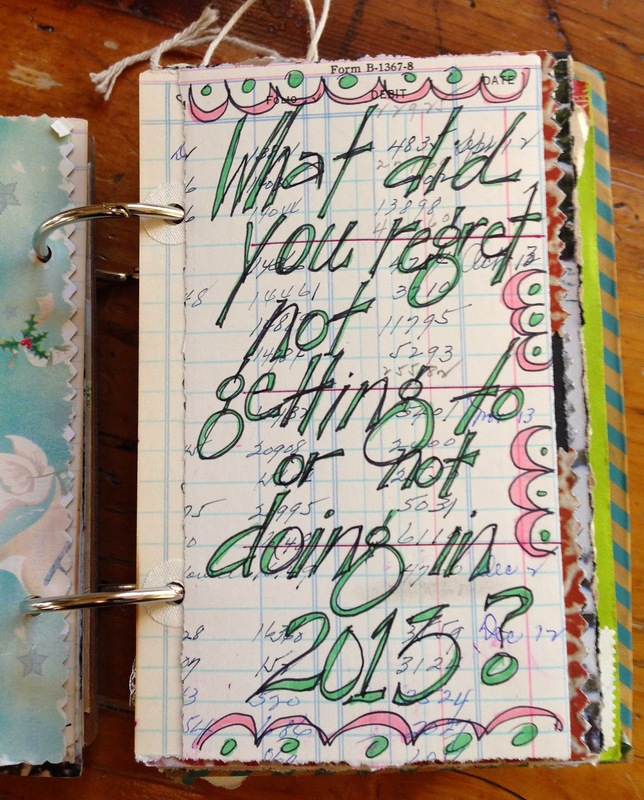 that you just don't want to part with and use them as your journal pages. I adore this picture that my son made in 2004 for our family Christmas cards. I added the vintage Dennison label and made a number from one of those old labelers. I used vintage ledger and folded it in half. On the outside I wrote the prompt. Inside of the flap of folded paper is my journal entry. 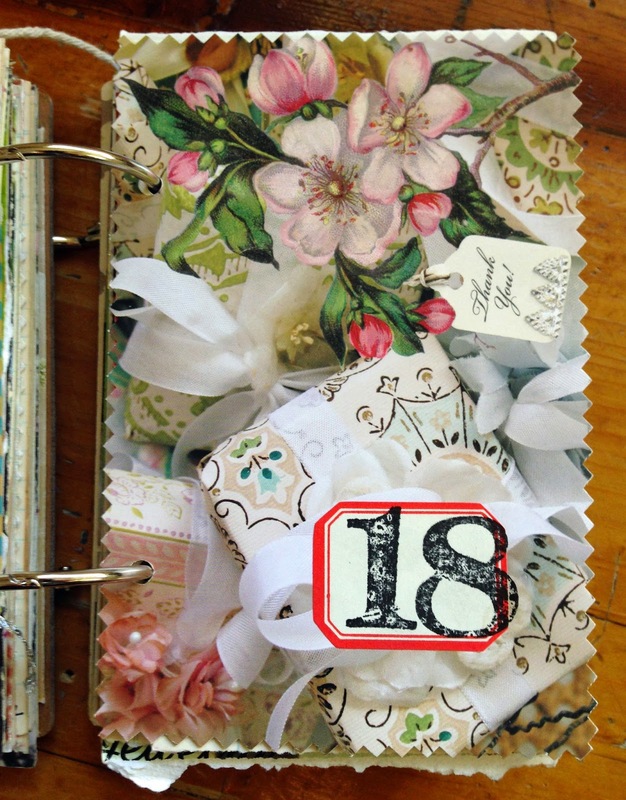 I loved using vintage Dennison labels whenever I can. Here is a link where you can purchase labels. 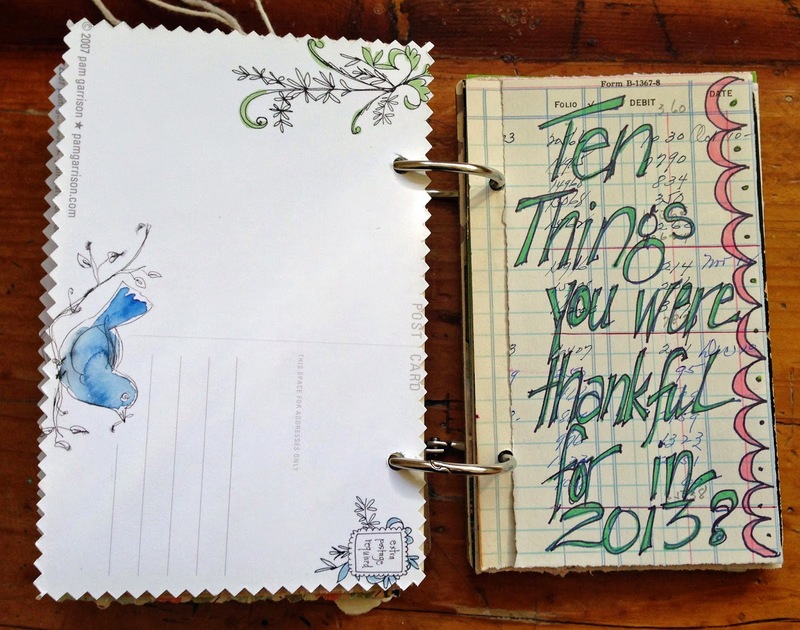 I really enjoyed looking back on my year and compiling my memories in one place. This was a perfect project to do on a cold night that was not too involved or time consuming. 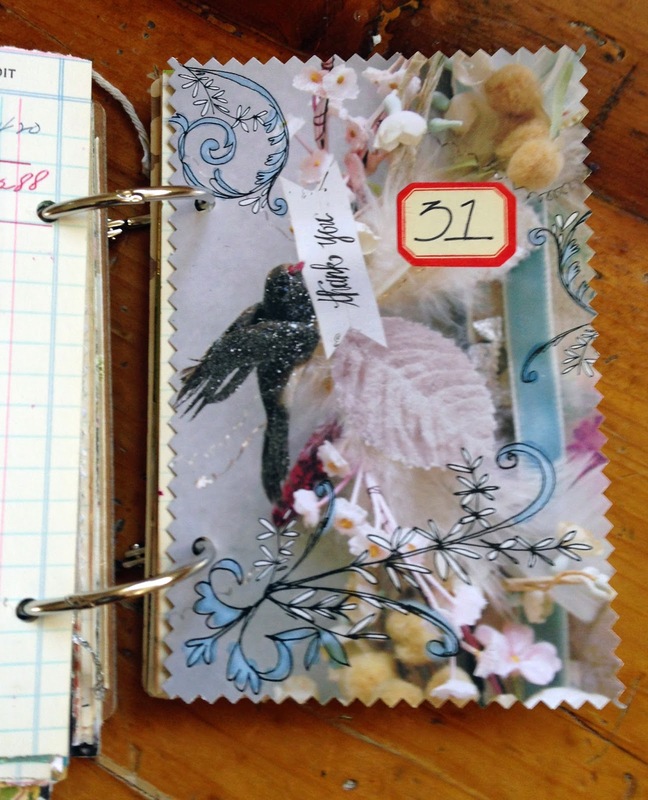 All of the items I used for this journal I had on hand. It is a great way to recycle. The last few pages is where I added the Christmas cards with family photos that I didn't want to throw away. The only thing I ordered were the covers that Hope used and recommended. Here is the link where I ordered mine for this year. I punched the holes for the metal rings with a cropodile.